For many years, iTunes has been a key program among iOS users. 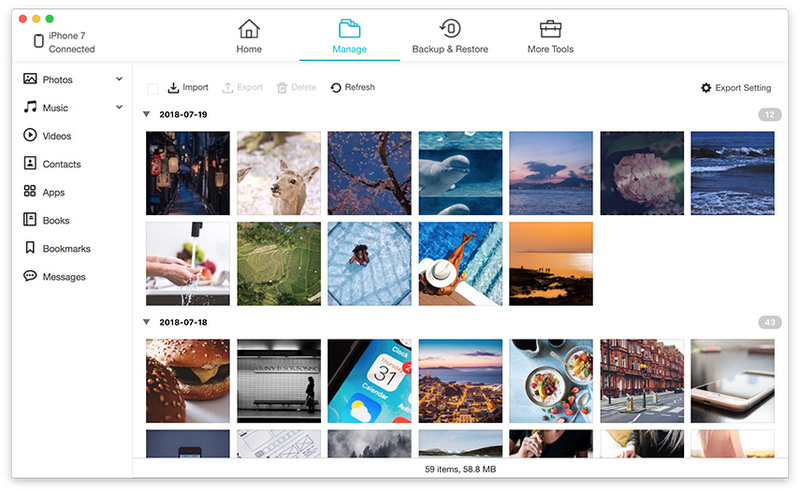 It is one of the oldest apps in the iOS ecosystem which can sync music, photos, videos, ebooks etc across all iOS devices. But is it really required now? Is it capable enough? The main concern about the iTunes app is the fact that it didn't get any update which can make the experience a whole lot better. The interface has remained the same, and there had been no major upgrades whatsoever. So, the simple answer to the questions is No! 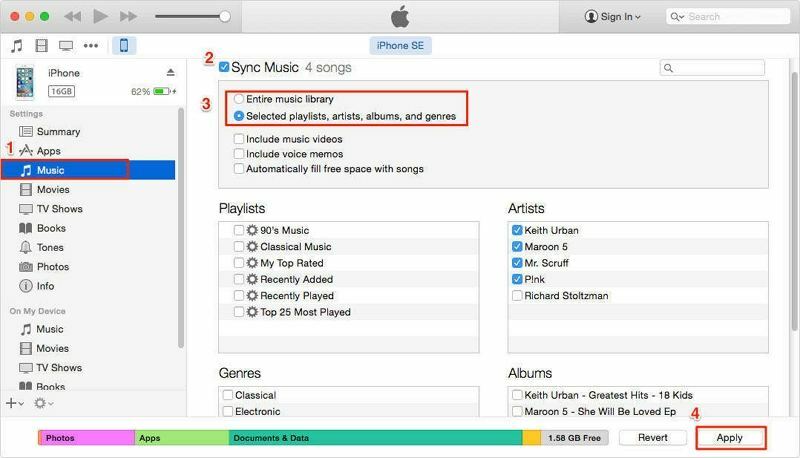 You don't require iTunes to sync music or any data anymore. In this article, we have come up with 2 methods that can help you transfer music from iPhone to Mac without iTunes. So, let's get started. Select music and then transfer. One, multiple or in bulk! No quality loss during transfer. 2. Connect your iPhone to Mac with a USB cable. 3. Navigate to "File Manager" and select "Music". 4. Select the music files from the list and then tap "Export". After the export completes, you will have your selected music transferred successfully to your computer right away! So, with the help of iCareFone, this is how to transfer music from iPhone to Mac without iTunes. 1. First, navigate to "Settings" on your iPhone and then go to "Music". 2. Now, find the iCloud Music Library option and turn it on using the toggle switch. 3. To keep your iPhone music after activating iCloud Music Library, don't forget to tap on "Keep Music". 1. First, open iTunes on Mac, and navigate to "Preferences"
2. Now, tap on "General". 3. Turn on the iCloud Music Library option. 3. Now tap "OK", and it's done! This is how to import music from iPhone to Mac without iTunes. So, whenever you are under Wi-Fi, your iPhone music will get synced to your Mac and appear in iTunes with cloud icon. You can click on the cloud icon to get music offline to your Mac. Music synced and uploaded this way cannot sync again with iTunes, as whenever you open iTunes, the iCloud Music Library On message will pop-up and you will have to sync music again by starting afresh. So, these are the most effective alternative ways if you want to know how to move music from iPhone to Mac without iTunes. As discussed earlier, it is not mandatory to use iTunes now, as you have got the support of other software and methods. The methods listed here are efficient and works well if done right. If you need the best way, we recommend Tenorshare iCareFone. It can take care of all your music transferring needs, and look after your iOS system thanks to its other helpful features such as the speedup and clean feature, fix iOS stuck issues, repair iOS systems etc. Go for it!